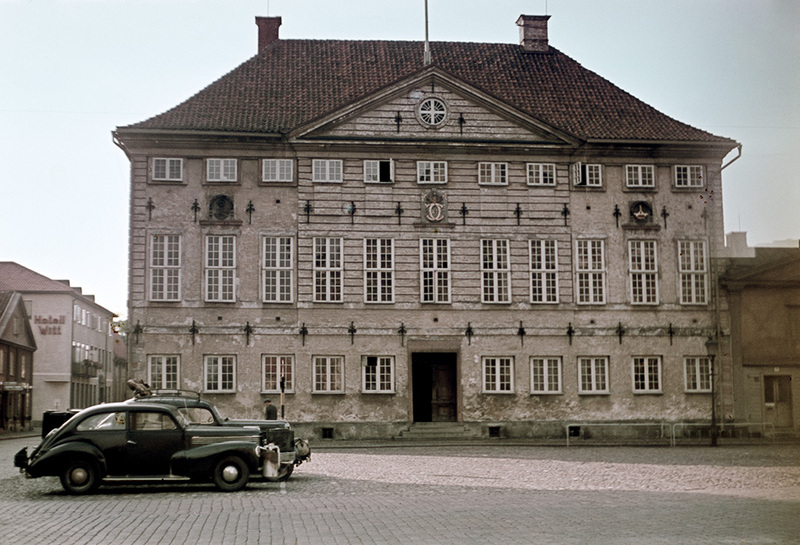 The Town Hall at Stortorget (the Main Square). The Town Hall was inaugurated in 1690. Rådhuset vid Stortorget. Rådhuset invigdes 1690. Don't miss the wood gas burners on the front of the cars, to substitute for fuel.